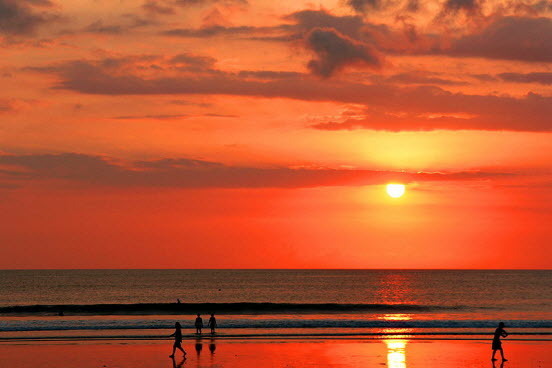 Everyone know Kuta Beach has a charming landscape. 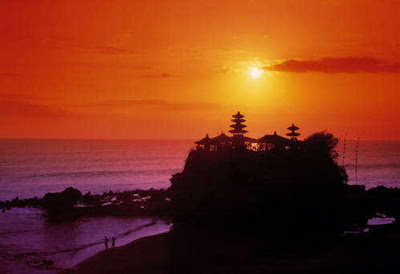 This beautiful beach is located south of Denpasar City and become a tourism icon. It’s about 2 km from the Ngurah Rai international airport, Indonesia. Many tourists from various foreign and domestic tourists also visit these attractions every year. 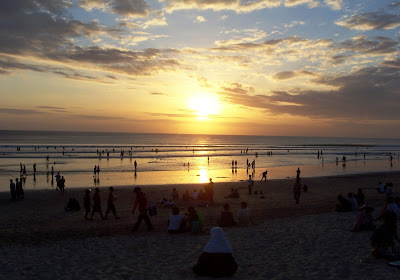 All the tourists who come to Bali do not want to miss a chance to see the beautiful sunset at Kuta Beach. The breeze combined with waves able to refresh the mind and relieve fatigue any visitors. Golden afternoon sun gives a romantic atmosphere. 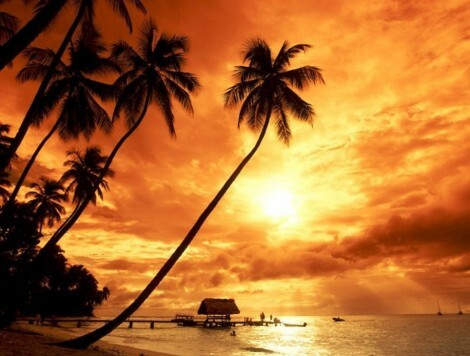 balitravels-sunset-romanticGrains of white sand becomes playground every visitor who comes here. If you are in Kuta beach area now, you can see the increased economic growth. Currently, most of the population in this area depend on the tourism sector. Various types of entertainment in the form of cafes, night club or restaurant along the road. Some of the famous night club is the Kamasutra, Hardrock, Rosovivo and Ocean Beach Club. Of course this makes Kuta become tourism area and always crowded by tourists.